Special thanks to Wi-Ex (@wi_ex) for providing the giveaway unit. Winner is randomly chosen by computer auto selector. Entries close after Thursday 04/26/10 11:59 PM (PST). That’s pretty much it. If you don’t know what Facebook Connect is, it’s simple. Just click on “FB Connect” next to the comment box and login with your username and password. And for Twitter, if you don’t have an account, just get one and hit retweet. It’s quick and easy. Good luck! 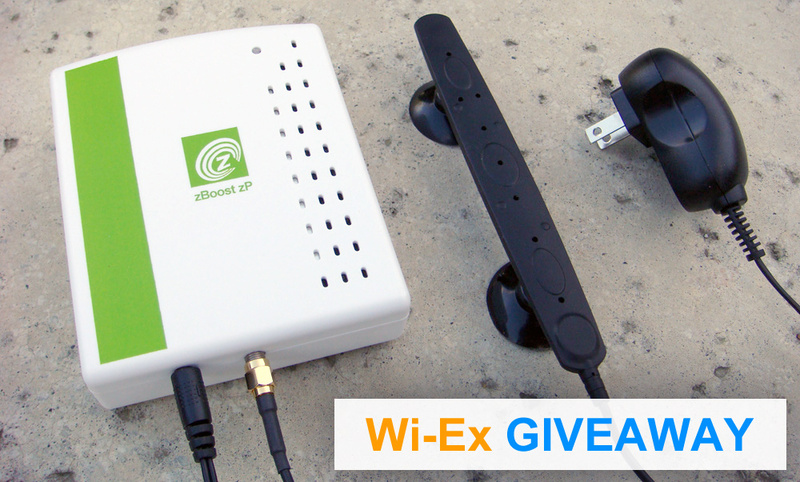 Update: David Lo is the winner of the Wi-Ex Signal Booster Contest! Congrats! I need this! Cell phone reception in terrible where my apartment is. Love your site. Thanks for letting me know about you guys. Hope to use you in the future. Great giveaway too! I added yall to my faceboo & i so need to win this because the reception in my house is really bad. Good Luck Everyone! so I was saying,I really need this cause…what?…what was that? your cutting out! Oh crap! Lost the call..again! woot! how awesome would be! i dont have to sit in a corner to talk! Awesome stuff-now I don’t have to sound like the Verizon commercial everytime someone calls me. My signal dies in my own apartment… I really could use this! Thanks!